Another family, whose home was built the same year as the Cappellinos, also ended up replacing all the pipes in their home at their own expense, after finding issues with their Kitec pipes, manufactured by IPEX. Plumbers in the region have been getting more and more calls about the Kitec brand of pipe, also known as PEX. According to Kyle Fowler, co-owner of Fowler Plumbing in Windsor, if you built or remodelled your home in the last decade or so, it's likely Kitec pipes were used. He said he gets at least one call a week that turns out to be Kitec-related, and he said the plumbing system was used in most of the newer subdivisions. "I even have some in my house," Fowler said. "Because we didn't know. We thought it was good." Cappellino shows the Kitec hot water pipe that burst last fall. (Karen Brady/CBC)The Kitec plumbing system consists of blue and orange flexible piping and brass fittings, used to carry cold and hot water through a home. Kitec products were also used in radiant heating systems. The pipes were made from polyethylene and a thin inner layer of aluminum, and plumbers considered them to be an excellent product because they were cheaper than copper and their flexible nature made the product easy to install. 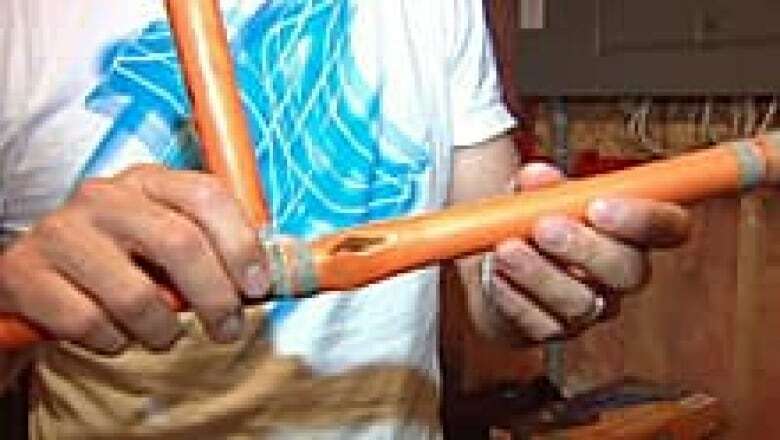 The class action lawsuits in Canada and the U.S. allege that the product was negligently manufactured, which caused the pipes to disintegrate prematurely. The pipes were sold from 1995 to 2007, and potential claims have been filed by residents of Alberta, B.C., Ontario, Quebec, and the Maritimes, according to Dave Robins, the lawyer representing Canadians in the class action lawsuit. Kitec was sold under various brand names, including Kitec, PlumbBetter, IPEX, AQUA, WARMRITE, Kitec XPA, AmbioComfort, XPA, KERR Controls and Plomberie Amelioree. In 1995, IPEX recalled brass compression fittings from Canadian and U.S. distributors. The Canadian statement of claim alleged the fittings were faulty causing pipes to disintegrate. Plumbers say the brass reacted with the chemical composition of the pipe, causing it to corrode, or "dezincify," and fail. 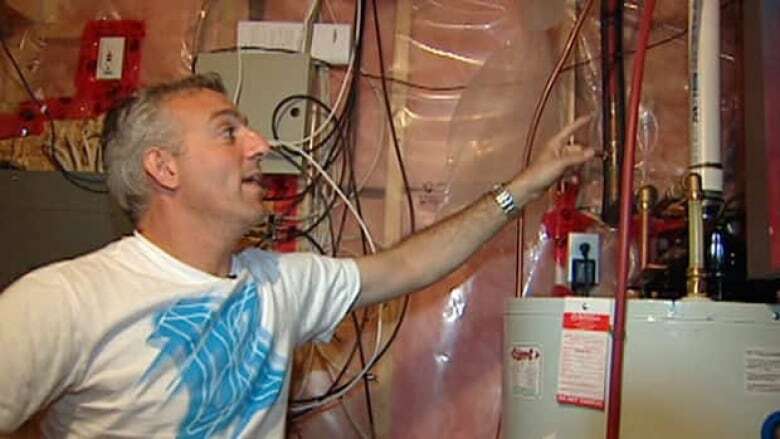 Tim Tiegs, a faculty co-ordinator for the skilled trades programs at St. Clair College in Windsor, said the only way for homeowners to make sure the allegedly faulty pipes don't turn into costly water damage claims is to have them replaced. "Most of what I've read and heard is the fact that if you have it, you need to replace it ... that it's gone from whether or not it will fail, to when it will fail," said Tiegs. Fowler said replacing pipes usually means cutting open walls — a costly repair. "It's the only way to absolutely guarantee that you're not going to have any trouble, because you can fix leaks but that's just the start. It will go through the whole house eventually," he said. Tiegs said at the very least, homeowners with Kitec plumbing systems should have a trusted plumber check out the condition of the pipes and fittings. Property owners and those looking to buy a home should also be aware of the possibility of problems insuring homes if the plumbing is found to be faulty, he said. Nicholas Rosati of Windsor and Anthony Bellissimo of Toronto initiated the Canadian class action lawsuit, which was certified in February. There are two suits in Canada — one for Quebec and one covering the rest of the country. A multi-district class action suit was initiated against IPEX in the U.S. as well. A settlement agreement was reached Tuesday. "IPEX denies these allegations and asserts that the Kitec system is not defective and that the vast majority of the systems will last throughout the warranty period [30 years]. The parties have agreed to the settlement to avoid the expense, inconvenience and distraction of further protracted litigation and to fully resolve this matter." IPEX Inc., which has offices in Toronto and Verdun, Que., refused to comment on the allegations about the company's products or the lawsuit when contacted by CBC News. Canadian lawyer Robins said the settlement fund will be open to claims for eight years "because the prospect of the product failing could materialize over some time." The settlement agreement still has to be approved in court, he said. None of the allegations against IPEX have been proven in court. Advertisements ran in newspapers across Canada on Wednesday notifying the public about the settlement, and providing information on how people could determine if they qualify to submit a claim. Court hearings, meant to determine if the settlement is fair, are scheduled for November and December.